I am a sucker for skin products. Even when I am so tired, I still make it a point to follow a beauty regimen everyday. That includes cleansing, toning, and moisturizing my face upon waking up and before sleeping at night. 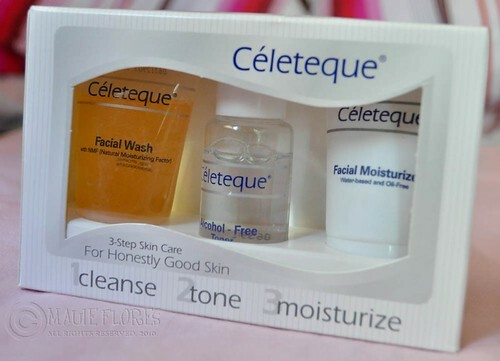 I recently discovered the Celeteque line of products and loved them instantly. I love these products because they are all hypo-allergenic and are mild to use. The toner is alcohol-free which is one of the things I look for in a toner. Also, the moisturizer is water-based which makes it a perfect moisturizing product in this warm weather of ours. Even my husband uses the moisturizer because he hates creams. Sometimes, even with this routine, I still get pimple breakouts. I've tried various acne treatment products before but I haven't found one that is hiyang. 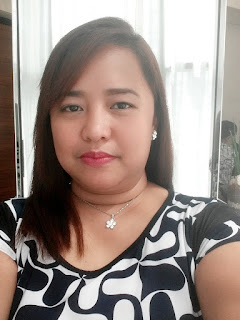 I think I need to read more on the products featured on acnetreatmentsreview.net and see how they work on me. Fortunately, these breakouts don't happen too often. Do you cleanse, tone, and moisturize? How has the routine been working for you?